A Farmer’s Son-Ben Joy was born in Amarillo, Texas and as an infant, traveled with his Mama and Dad to farming country in the American South. 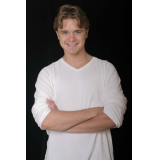 The Boy Next Door-Ben Joy was raised in the small town of Justin, Texas, instilling within him small town values. 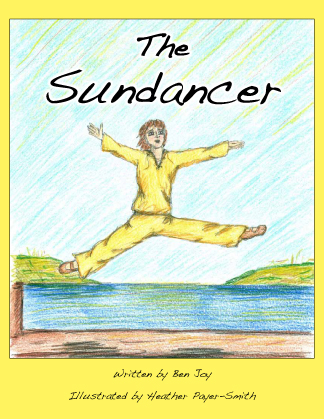 The Sundancer is the perfect story for children who have their own special way of ‘getting the job done.’ The book tells the tale of a boy who dances his heart out every day in order to make the sun rise and bring life to his village. In order to make the sun rise, the boy doesn’t yell or scream. Instead, the boy dances, capturing the attention of the sun which, in turn, rises to give the boy a standing ovation for his performance. This story encourages kids to express themselves in creative ways and teaches them that everyone has an important role to fulfill in their community. The illustrations compliment the concept of the story very well as they transition from black and white when the story begins to full color once the boy’s task of making the sun rise is complete, creating a visual connection to the development of the story that kids will enjoy.